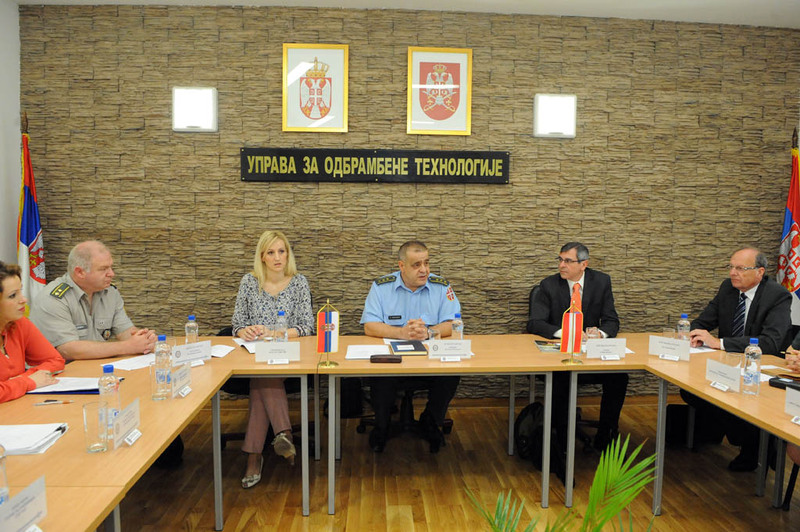 Apart from the representatives of the Ministry of Defence and the Serbian Armed Forces, the expert discussions that started today with the Austrian delegation were also attended by the representatives of the companies of the Serbian Defence Industry and the Serbian Institute for Standardization. The Austrian delegation from the National Codification Bureau is on an official visit to the Directorate for Standards, Metrology and Codification of the Department for Defence Technologies of the Material Resources Sector. As part of the talks aimed at improving the material standardization and codification in the defence system, the following topics will also be discussed: cooperation with the defence industry, information system for codification, manufacturer’s codes (NCAGEs) and the place and role of NATO codification number in the system of acquisition and logistic support. Given the fact that Austria is a participant in the Partnership for Peace Programme and a militarily neutral country, the talks are important from the point of looking into good practices and possibilities of their applicability in improving the mentioned areas in Serbia.